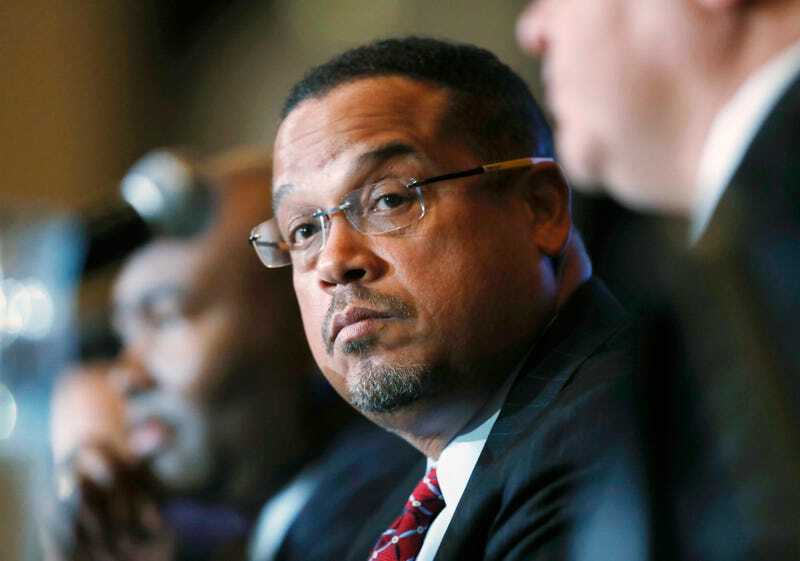 In today’s water-is-wet news, Rep. Keith Ellison (D-Minn.)—arguably one of the realest to ever do it—told guests gathered at Netroots Nation conference on Friday that the “Republican Party today is the party of racism” and former President Abraham Lincoln wouldn’t kick it with these racists. Ellison told his truth during a panel discussion at Netroots Nation, an annual conference of internet-savvy political activists. “Ellison was the only representative from the party on the panel, and he made the comments after criticism from fellow panelists of Democrats, especially after the bruising primary fight in 2016 and failure to take control of the White House,” CNN reports. Ellison argued that while the Democratic Party has its faults, it was still the best option for people of color who are interested in changing the nation. Please point to the lie in the comments. I’ll be here for the rest of the evening.